Chocolate Peanut Butter Nut Brownies (Gluten free, Flourless). 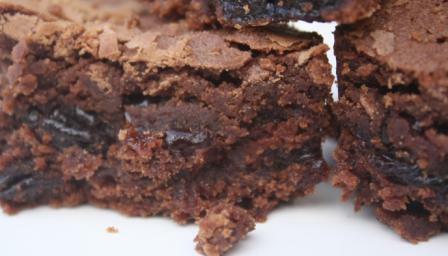 Deliciously chewy homemade brownies. 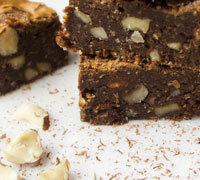 This easy to follow recipe makes the best nutty brownies. These brownies were a hit from the first bake. A sumptuous combination of dark chocolate (I always use over 70%) and hazelnuts they are a sophisticated gourmet brownie. 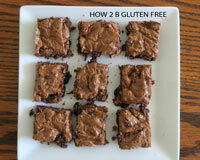 Brownies everyone will enjoy, whether they require gluten free or not. 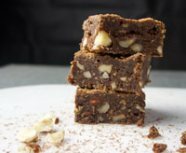 Naturally gluten free, these flourless chocolate peanut butter nut brownies use ground roasted hazelnuts in place of flour. I am increasingly passionate about using naturally gluten free ingredients in my recipes rather than gluten free flour blends. Don’t get me wrong, gluten free flour blends are great and (with a few adjustments) can be substituted into most baking recipes with great success. Maybe it is because I love to experiment but using naturally gluten free alternatives like ground nuts or coconut flour can bring something different and fresh to a recipe. With this chocolate peanut butter nut brownie the ground hazelnuts add to the texture as well as flavour. That and the chopped hazelnuts make for a nutty delight. 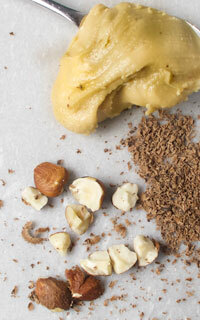 My other latest passion is using nut butters instead of normal butter in my brownie recipes. Peanut butter is my nut butter of choice for this recipe. 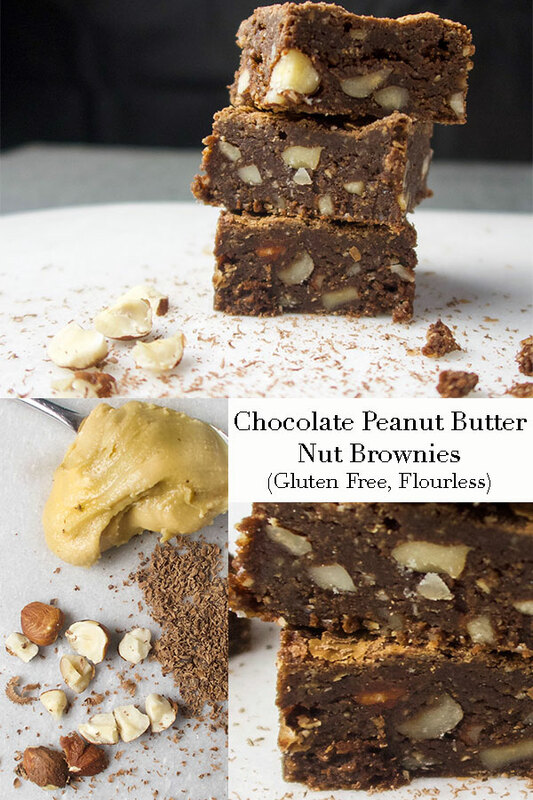 Not only does the peanut butter increase the amount of protein in this chocolate peanut butter nut brownie but it also gives these brownies a wonderful chewy texture. You won’t be able to stop at one. My ever helpful testers loved these brownies and thought they would be great for Christmas (as well as the rest of the year). 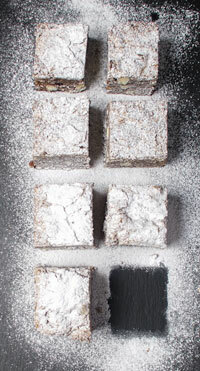 The nutty flavours and chewy texture make it a tasty holiday chocolate brownie recipe. Store these brownies in an airtight container in a cool place. They improve in texture and flavour over a few days. In theory they should last a week but they never last that long in my house. I wouldn't freeze these chocolate peanut butter nut brownies. Usually my brownies freeze well but the high nut content of these brownies means freezing will dry them out. A sumptuous combination of dark chocolate and hazelnuts they are a sophisticated gourmet brownie. *crush the nuts by placing whole nuts into a plastic bag. Whilst ensuring the end of the bag is closed, hit the bag with a rolling pin. This technique is also a great way to get rid of any frustrations in your day! **melt the peanut butter and chocolate in a microwave or in a bowl over a pan of simmering water (make sure the bottom of the pan does not touch the water). ***It is easier to cut if you place in fridge for 30-60 mins before cutting.